Your vehicle’s driveshaft is integral to the performance and drivability of your vehicle. 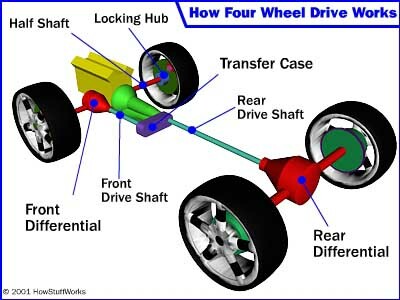 The driveshaft is a steel or aluminum cylindrical component that connects the transmission to the rear differential. The driveshaft connects to the transmission through the CV joints, which are responsible for transferring the torque from the transmission to the drive wheels at a constant speed. Over time and through normal use, your vehicle’s driveshaft components such as u-joints may require maintenance or replacement services. Sergeant Clutch proudly serves the Driveshaft Repair Service needs of customers in San Antonio, Converse, Kirby, Windcrest, Live Oak, Universal City, New Braunfels, San Marcos, Fort Sam Houston, Lackland AFB, Kelly AFB, City Base, Randolph AFB and South Texas. The driveshaft, which is located between your vehicle’s differentials, is responsible for transferring torque and rotation to the drive wheels and other drivetrain components. The driveshaft is tubular with an outer metal housing and an inner metal cylinder that spins at a rotational force determined by engine output. Essentially, the driveshaft tells the wheels to switch from idle to drive. Designed to endure sheer stress and torsion, driveshafts apply forces of motion without adding additional weight or stress to other drivetrain components. Driveshaft components like CV joints, U-joints, and yokes accommodate axial movement and allow for variation in driveline angles and distances between components. Like tires, your driveshaft should be balanced to promote safe operation and prevent failure. Give us a call or stop by our shop when you’re ready to balance your driveshaft or replace your u-joints. Why Should You Have Driveshaft Balance Services Performed by Sergeant Clutch? For a driveshaft to be properly balanced, the torque coming from the engine and transmission must be equal to the speed at which the shaft spins. Balancing your driveshaft will ensure smooth driveline operation and help prevent the dangerous and destructive effects of an out-of-balance driveshaft. Driveshafts are balanced between a certain speed as indicated by the manufacturer. Failure can occur once the driveshaft reaches critical speed resulting from an unstable amount of RPMs, a rate determined by the length and diameter of the driveshaft. Vibration is the most common indicator of the driveshaft or other rotating components being out of balance. When you begin to feel a vibration coming from your vehicle’s driveshaft, contact us immediately so we can diagnose the type of vibrations occurring and determine the correct repair procedure. 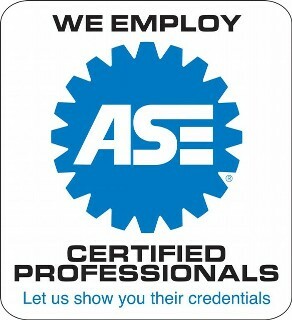 We pride ourselves on offering superior customer service and expert advice on basic driveshaft maintenance.